I hoped for a strong year. I believed I could have it. January was the month I was going to get back to the trails, start lifting, and reach my physical potential. 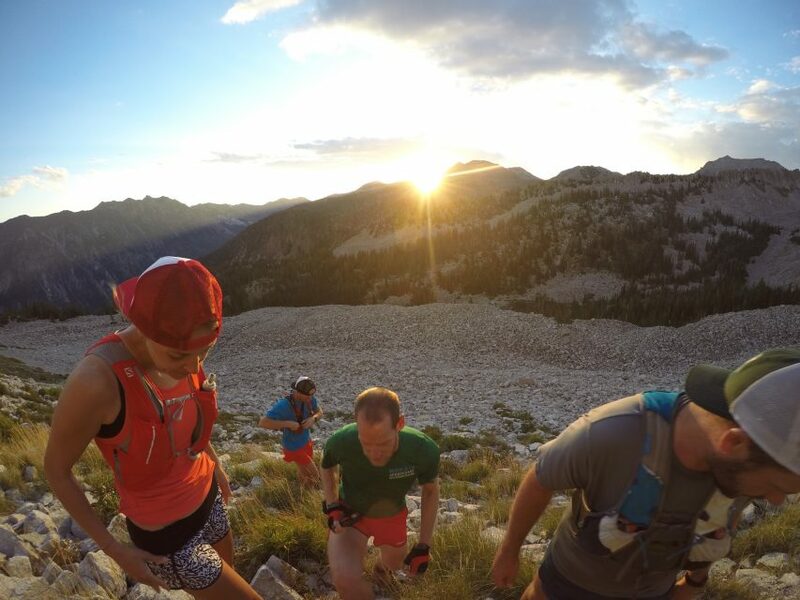 I put myself on the waitlist for the Bear 100 in September, and my sights were set on my first 100 mile race – The Bryce 100 in June. 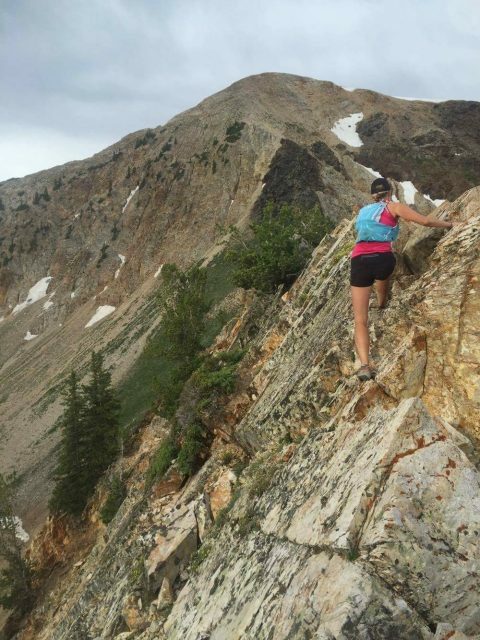 Full of confidence, I began climbing the steep parts of the Wasatch, despite my disdain for the cold. I was in the gym 3 times a week building my core strength. But just like that, I broke, and it all came crashing down. It was a silly accident. I had planned to run a local mountain peak the night before, but due to time and a lack of willing participants to join me, I woke early so I could hit it hard at the gym the next day. I ran on the treadmill for and hour and hit the weights in a class I was attending. With 15 seconds left in class, I wanted to finish the full set, so I increased my speed as I did one leg hops, and suddenly – CRACK. I twisted my ankle, my stabilizers over corrected, and they ripped my bone right in half. I was sure there was no way it was broken! The X-ray, however, confirmed it. I was told by friends I would likely just have to walk in a boot, that I could keep my cardio up on the arch trainer or in the pool. It gave me initial hope. The doctor, however, had other plans. Eight weeks, non-weight bearing. So that was that. I wouldn’t even be able to walk on my left leg – my strong leg – for two months. I still went to the gym. I was there EVERY day! If I wasn’t doing modified lifting, I was rowing – with one leg – 6-15K, on the erg. People seemed amazed to see me there, pushing through. From the outside I was handling the less the ideal situation with ease, but on the inside, there was a piece of me that was dying. The simplest things were a challenge. It took a couple weeks to even figure out how to get my 1 year old down the stairs in the garage so I could put her in the car. Cleaning, cooking, showering….crawling to my girls room to put them to bed, it was all just too hard. I wasn’t sleeping. I’d wake up in pain. I was in a very low place. 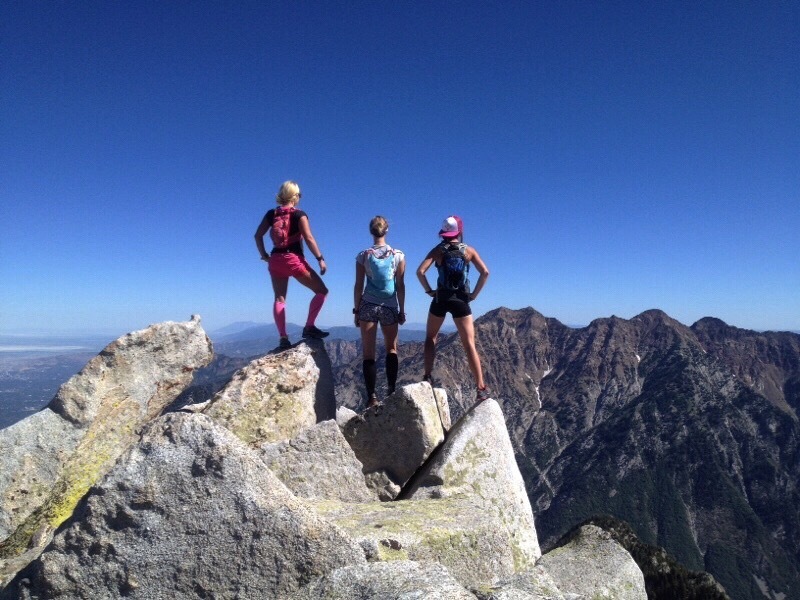 I watched my friends training, strengthening, readying themselves for their great adventures. I would try to support in the little ways that I could, with food, money, time. I felt myself getting more distant, more frustrated. Hardly anyone really noticed the way I had distanced my mind from the world. They saw me, I was out there working, so I must be OK. I would break down almost daily, in tears as I saw my goals for the year slip away from me. I resigned myself to being merely mediocre in an area I wanted so badly to do well in. No! I had to do this. I was going to heal. I kept telling myself that; I have a strong base, I’ll bounce back. I did everything the doctor told me. I didn’t cheat with my walking. 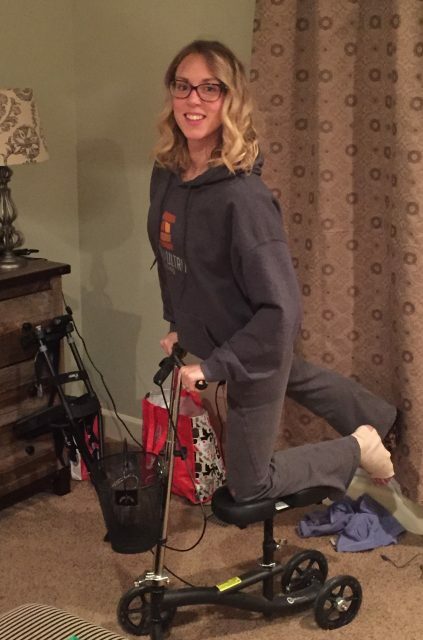 For eight weeks my life was scooters and peg legs. 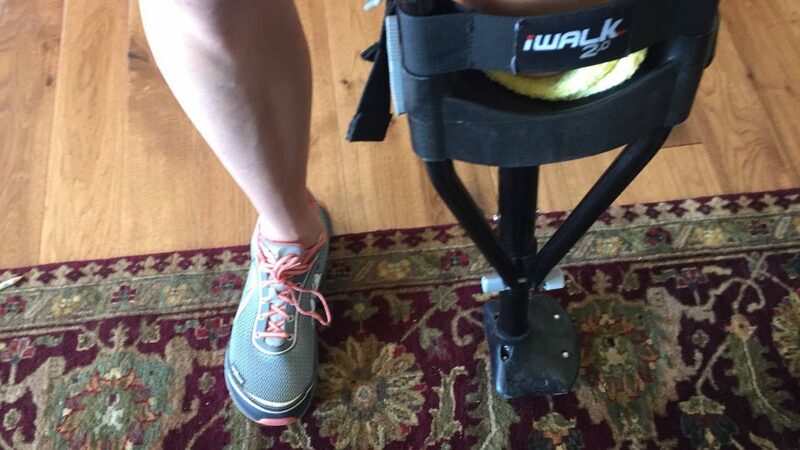 When eight weeks finally arrived, the doctor gave me permission to walk without my boot. It still ached and was difficult. I had extreme atrophy in my left calf. Three days in, my foot was in severe pain. I went back in to the doctor and he put a cast on. Two more weeks – at the least – and then I could try again. Mentally I had prepared myself to being able to walk again. I couldn’t get back on the erg. Those were the worst two weeks of the injury. I was afraid I’d never heal, never run, never be me again. I’d lost my motivation to row or to lift. I began walking again in April. I hiked everywhere with trekking poles and slowly added running back in. It hurt to run down any trail. If I hit a rock just right, pain would shoot up my foot and leg. I was slow and uncertain but tried to get out with others. I found I did ok if I was running just one other person but started dreading running in groups. I would spend the entire run far behind the rest, doing everything in my power to catch up, with no success. I would sit in my car and cry, completely deflated, frustrated, and utterly aware that I was still broken. A couple of my closest friends would go with me into the mountains and help me feel OK about where I was with my abilities. 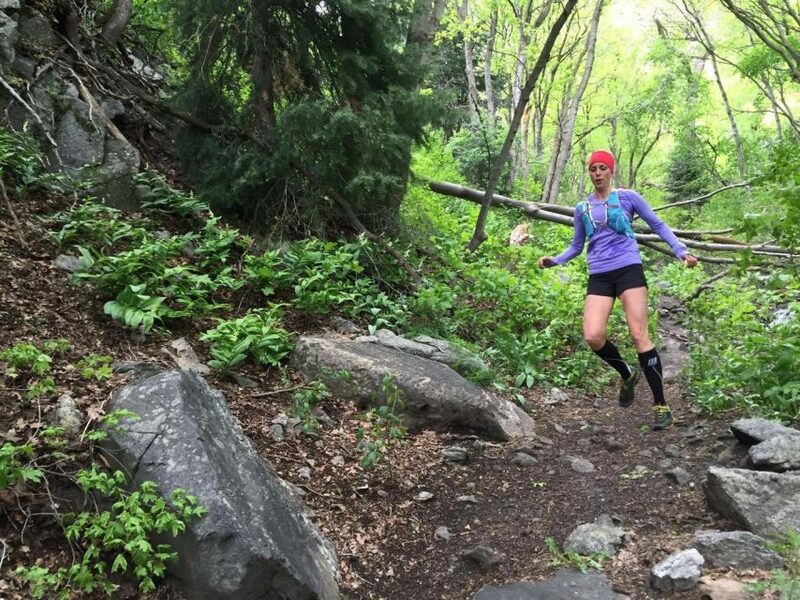 I wasn’t confident enough with my foot’s stability to go alone on technical terrain and I was incredibly grateful for the encouragement of those few who would endure a slower pace so that I had the opportunity to be back in the places that I love. By the end of May I realized that I looked forward to those adventures more than anything. I craved getting off the trail and making my way up the peaks, even the smaller, less snow covered ones. I still had “my people” and I could be strong again. In May my number came up for the Bear, I was in. I would need to prepare myself to run 100 miles just 5 months after taking my first steps on my left leg post injury. 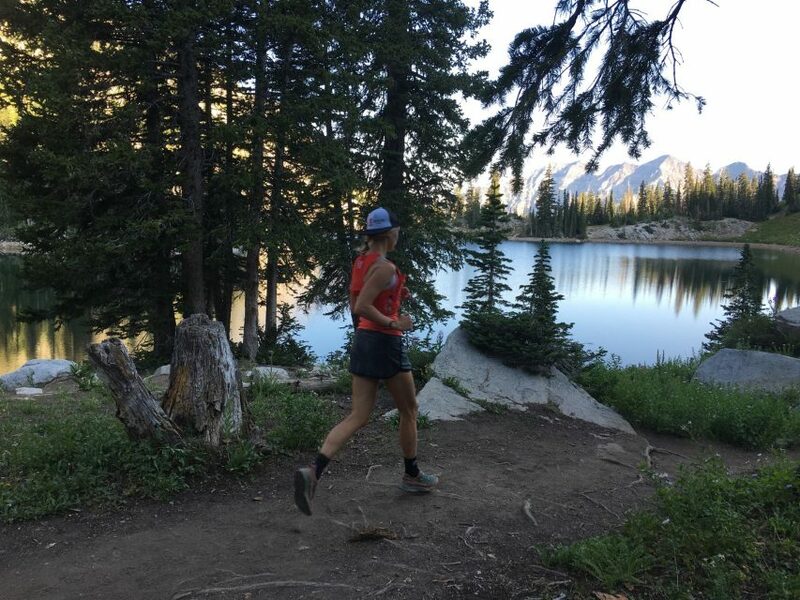 After my family and I moved in June, I had much easier access to mountain trails and found myself running on them nearly every day. I mostly ran alone, which was fine. I didn’t feel the pressure to run far or fast, I just wanted to run. My climbing legs came back, my scrambling abilities were still intact. Running downhill was still a little slow but gaining momentum. A trip with friends up some difficult local peaks gave me just enough confidence to believe in myself. I PR’d a summit run the very next day. I CAN do this! I can run again, I can climb again, and I will be strong again. I still encountered many bumps in the road; sickness, soreness, fatigue. I just kept going, resting properly, and my legs fell back into stride. With only two months to go before the race, I realized I would need to actually RUN more and play on peaks a little less. My first real long run in preparation for that, 25 miles, including a steep jaunt up Bair canyon (more than 4,000 ft up in less than 4 miles), was hard but I ran strong. 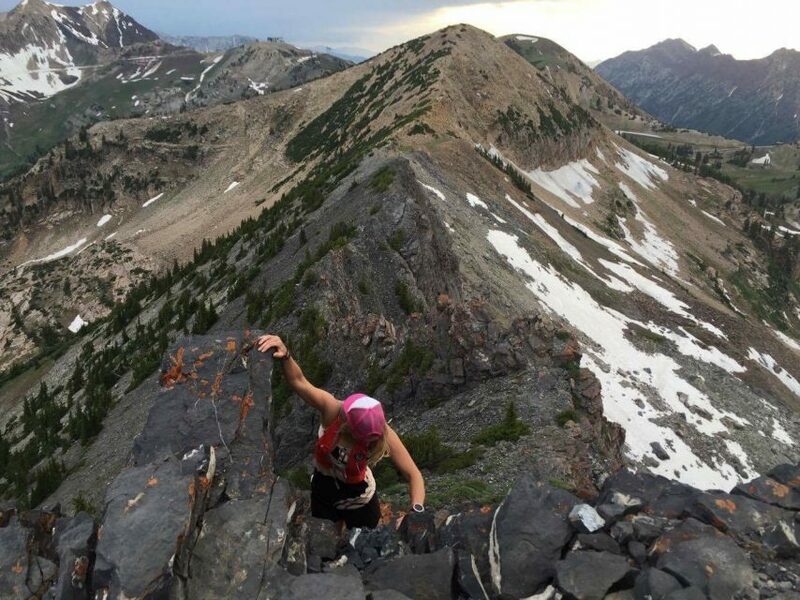 I put in quite a few long training runs on the weekends: the Tushars Marathon, the Brighton Marathon course with added miles, and Kings peak (Utahs highest peak). For the first time I began to believe – really believe – that I could bounce back and have the necessary athleticism to accomplish the goal I had set out to do at the beginning of the year. I remembered what it was like to be one with the dirt, the trees, and the rocks. My heart would beat in rhythm with each stride, amazing me at the body’s resilience to pressure, injury, and fear. I don’t remember at what moment my foot stopped hurting with each foot strike, but it did. It ached and throbbed after most runs but while I was running, I barely noticed a thing. My mind still holds me back on technical downhill but I was running with a lot more ease then I had in over a year. I put in nearly 150 miles in the last two peak weeks pre race. I hit 84 miles in a 7 day period and somehow managed to get out and run afterwards. Three of my friends and I ran 25 miles of the course over Labor Day weekend. It would be my last long run before the race. 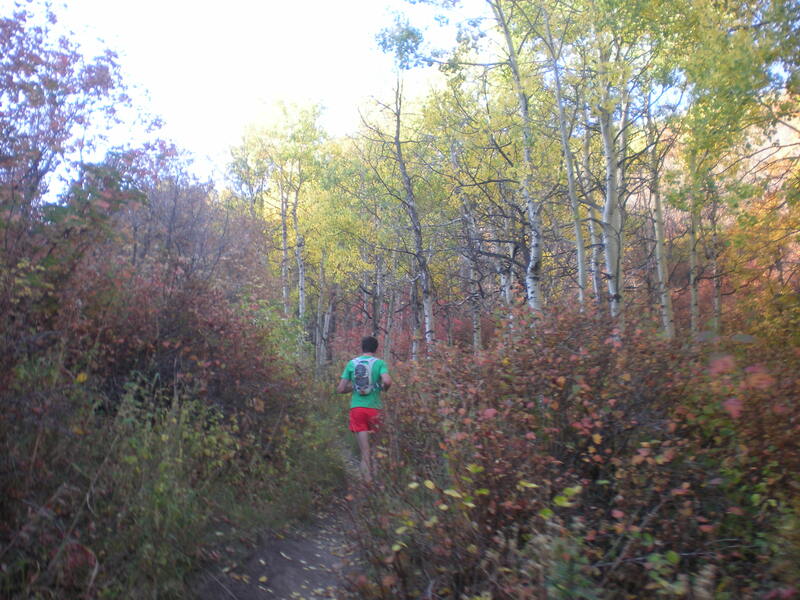 I paced the following weekend at The Wasatch 100. In the last 2.5 weeks I have suffered from all the taper pains you could imagine and with a week long bout of the stomach flu, I have questioned my abilities to even start a 100 mile run. I have to keep reminding myself that it is normal to be sore and tired during a taper. I have to remind myself that if I can’t hit goal A or goal B, I always have goal C, just finish. With disastrous weather in the forecast and the unknown of running such a distance, I have no expectations. I will take what the day gives me. I will run strong and I will run happy, even when I’m not. And if it is hard, I will push. And if I bonk, I will push. I have put in the training and I have the mental fortitude to do hard things. I guess we’ll see what I am made of. Editors Note – Chelsea completed the Bear 100 under particularly extreme weather conditions with a time of 26:35. 29th overall, 3rd place Female. Find her race report here. Fantastic job! 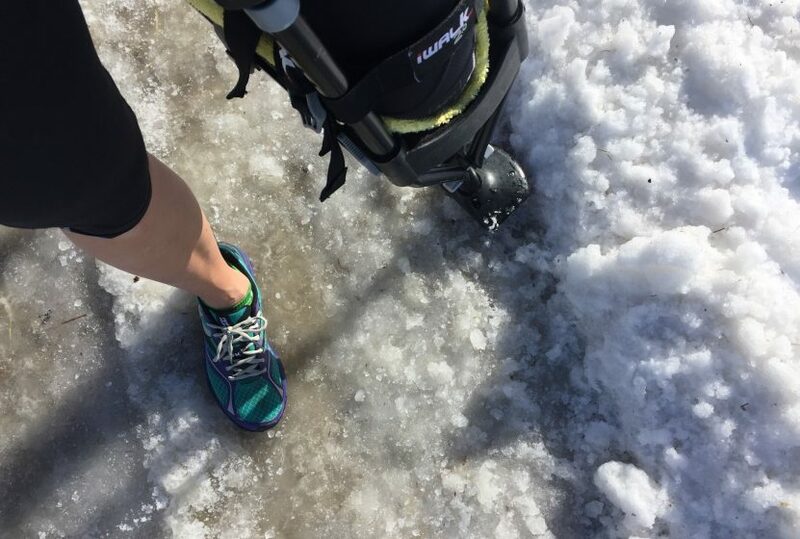 I’m coming back after cracking my kneecap last year, so I am familiar with the struggle to get back to where you were before a significant injury. 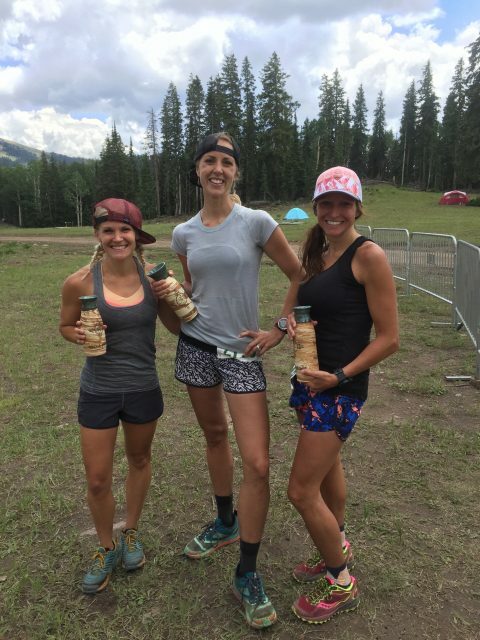 You totally rocked your 100 miler! Onward and upward! 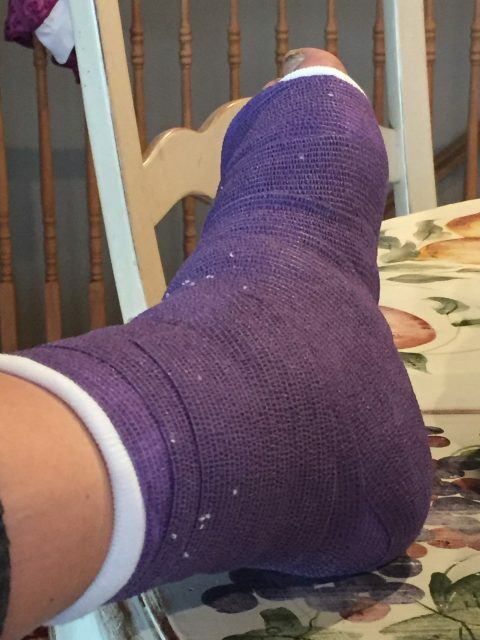 Comforting to read another’s struggles and triumphs; I broke my fibula playing capture the flag mid June, got the go ahead to start running on Fri. 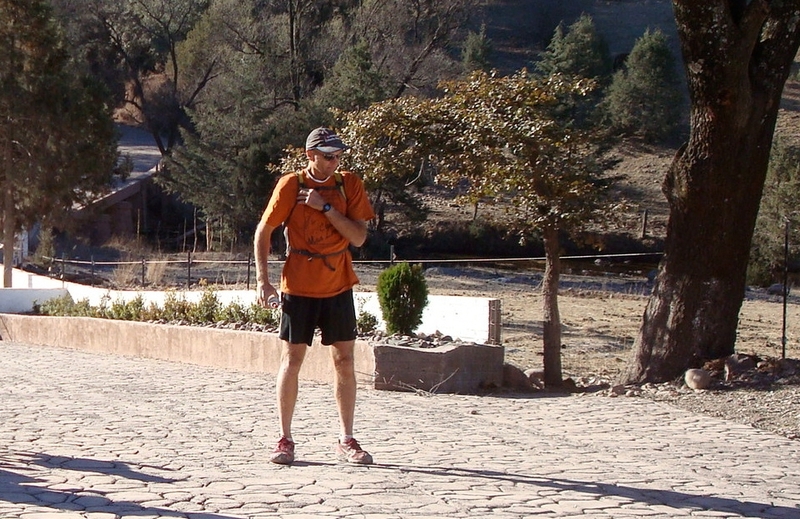 Felt very distanced from the trail community, though I kept trying to stay involved. Slow, steady, smart progression – keep the eye on the prize, right?! Was supposed to do a 3-day Wonderland Trail circumnavigation end of August, ended up supporting and getting some good hiking in. Planning again for 2017! Swift, complete healing to you. Chelsea, you are such an excellent writer! I have been struggling with an autoimmune disease for sixteen months. Your determination and your ability to convey your innermost most struggles and triumphs is such an inspiration. It makes me want to try harder. Keep up the running; keep up the writing; keep on inspiring. Thank you Shauna! We often struggle in silence. We forget that there are many out there having similar feelings. I hope you can find peace in your battle. Your talents and your determination will shine through! One of my most cherished friendships that has cultivated this season. You are as strong mentally as you are physically. Down but never out. Proud of what you did this year lady. Loved reading this post! I am coming off an injury right now (although not as severe) and it gives me a lot of confidence to read this and feel I can still recover and perform well! Looking forward to your race report!! !